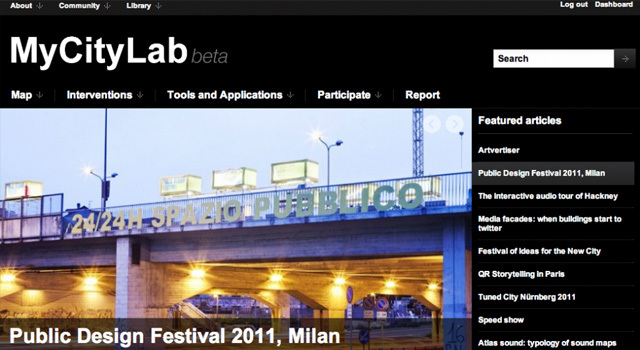 MyCityLab beta was an online space showcasing art projects, educational resources, technological developments and participatory processes which are grounded in a direct relationship with a particular local context. 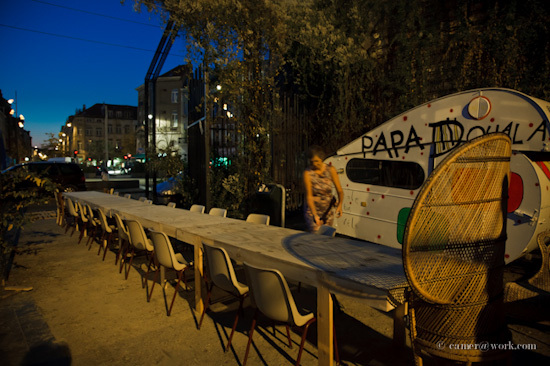 It was used by Cimatics Agency to change traditional festival model towards urban laboratory function, where artists create site-specific works and performances. 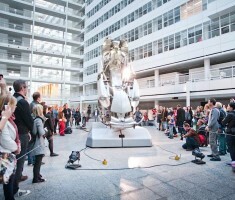 First offline project “The Rise of Performance Architecture” camp–conference was hosted by TodaysArt/Brussels festival and Cimatics Agency in Kureghem/ Eurostation area of Brussels, Belgium from 22nd of September to 1st of October 2011. 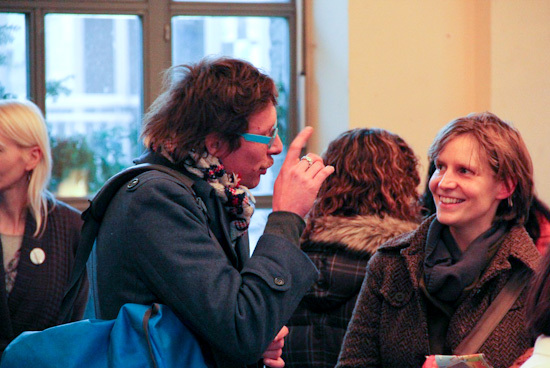 Roles: Project manager, artistic research, web development. 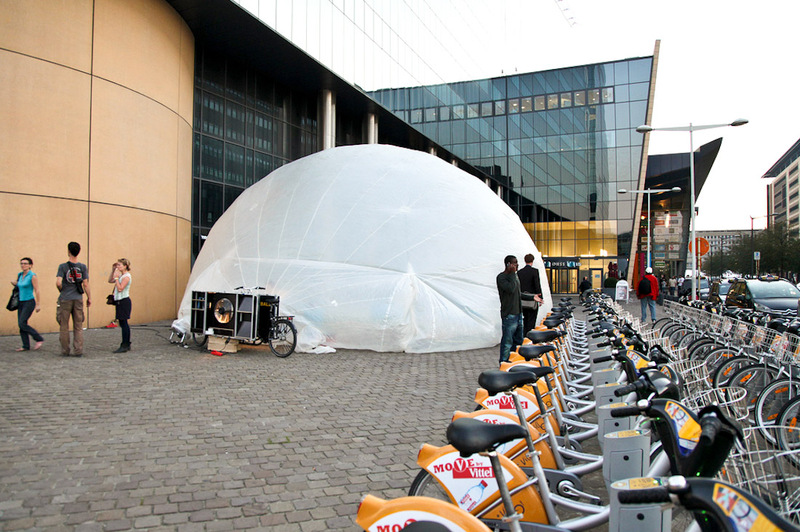 In spring 2011 Cimatics Agency, Brussels launched a long-term project called MyCityLab. 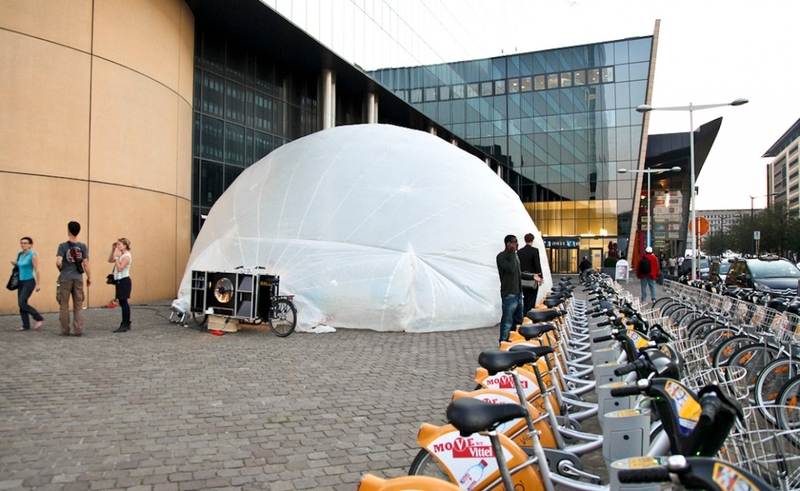 It is a user-driven open innovation platform which will bring together artists, technologists, philosophers and citizens to investigate on how particularly social, locative and mobile network infrastructure can contribute to new ways of traveling through the city, dealing with locations and people. 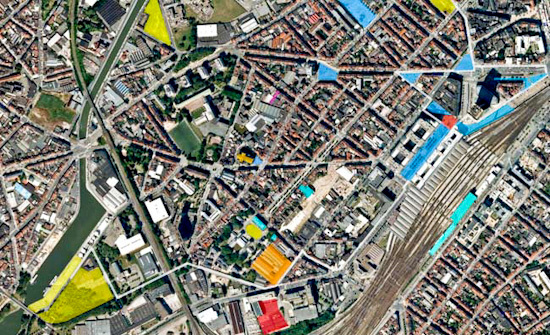 Each MyCityLab project explores an original theme lasting between 9 to 36 months. 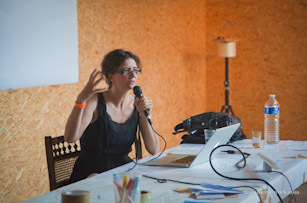 The lab projects are run through the Cimatics festival, which acts as a living laboratory, an experimental playground where new cultural forms, technologies and new ways of public participation can be presented and evaluated by a live audience. 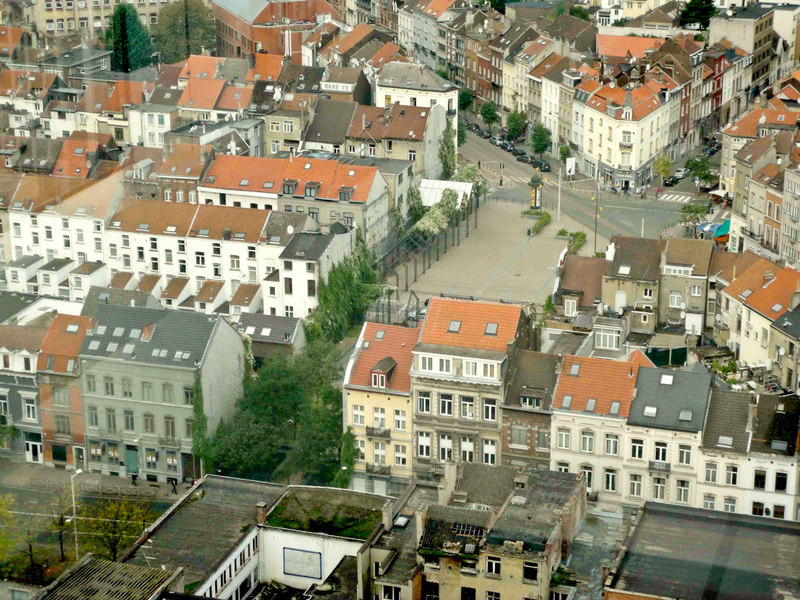 MyCityLab involving local communities around Kuregem and Eurostation area in Brussels. 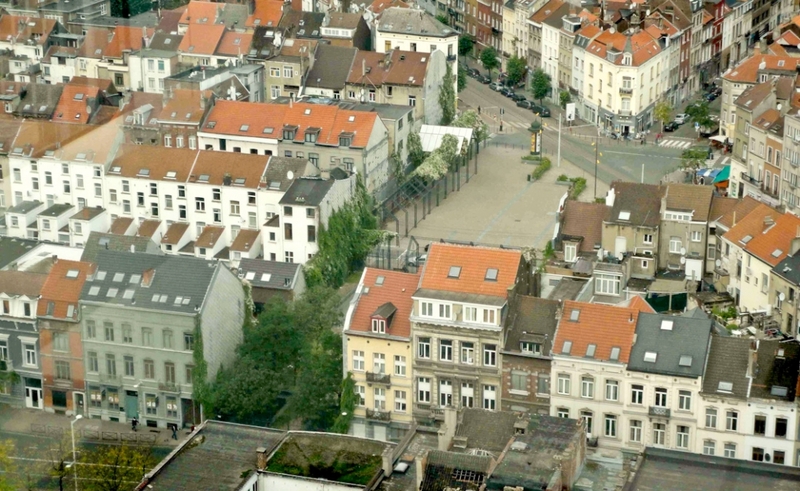 It has also the ambition of encouraging dialogue and cooperation between the different Belgian and international communities and stakeholders in the field of digital arts & culture while contributing to make the city environment more vivid, enjoyable and an equally shared place to live. 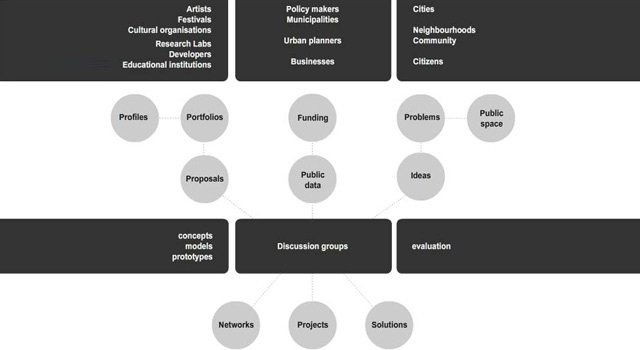 The exploration of the use of public spaces and the analysis of local communities’ demographics, psychographics and media habits, as well as of the existing networks of partners and cultural institutions are essential. Research on the local context needs to be documented and presented online for productive exchange of ideas and successful cases. 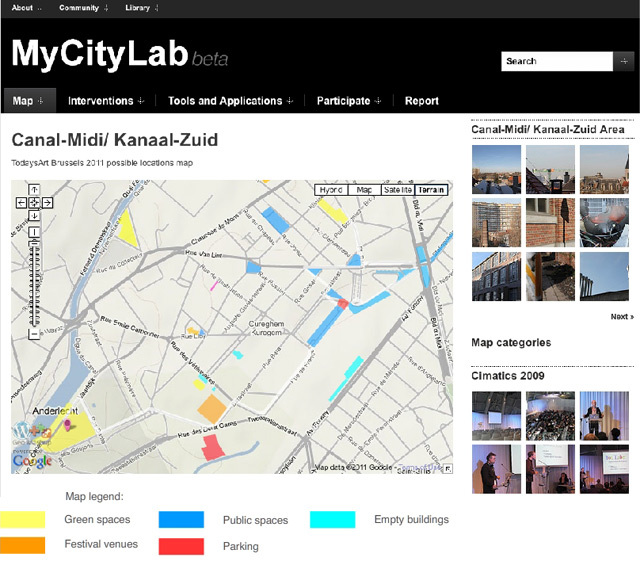 MyCityLab operates in the spaces between sectors and among individuals, projects and organisations. We are creating new spaces to foster social innovation by bringing together a mix of people, services, strategies and ideas. 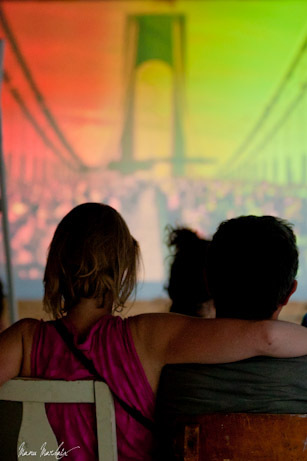 Artists working alongside community leaders, policy makers collaborating with citizens, and citizens helping cities diagnose their problems more accurately. MyCityLab is a territory-based community platform, designed to empower people to collaboratively find ideas for locatable issues. 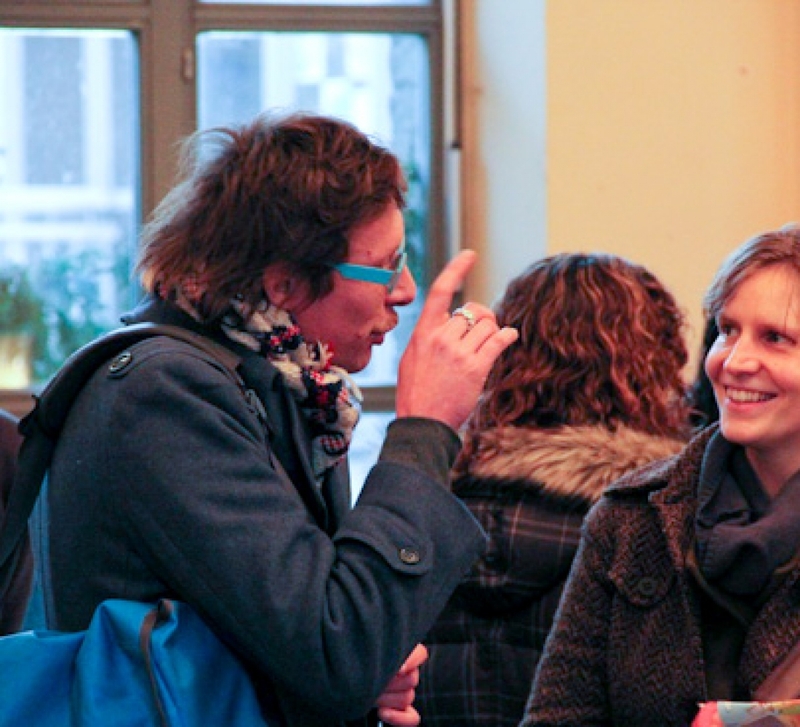 MyCityLab invites citizens to start talking about their living environment. 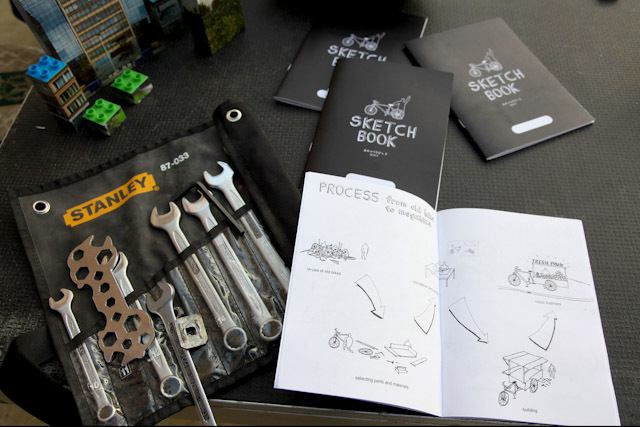 It assists them by suggesting solutions and helps to promote their favoured ideas.  The specific online platform is designed to become a social network of Cities and festivals, as well as of projects promoters and partners. 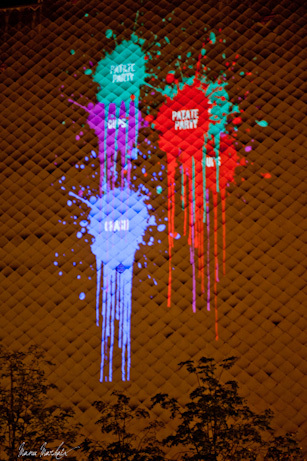 It is also designed to be a platform where emerging technological and artistic issues and site-specific topics will be posted, compared and debated, where new researches and current trends of audience engagement will be promoted, and where new approaches to festival programming will be enhanced. 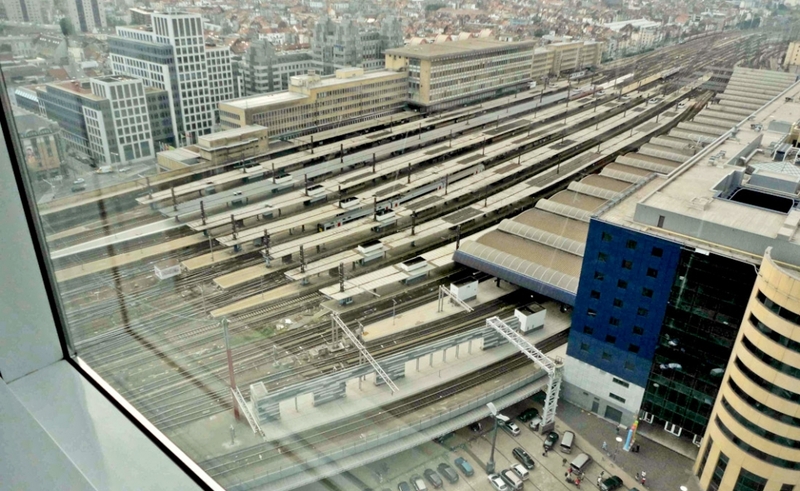 Brussels-South station with the surrounding high rise buildings has passengers from all over the world taking national, Thalys and Eurostar trains. 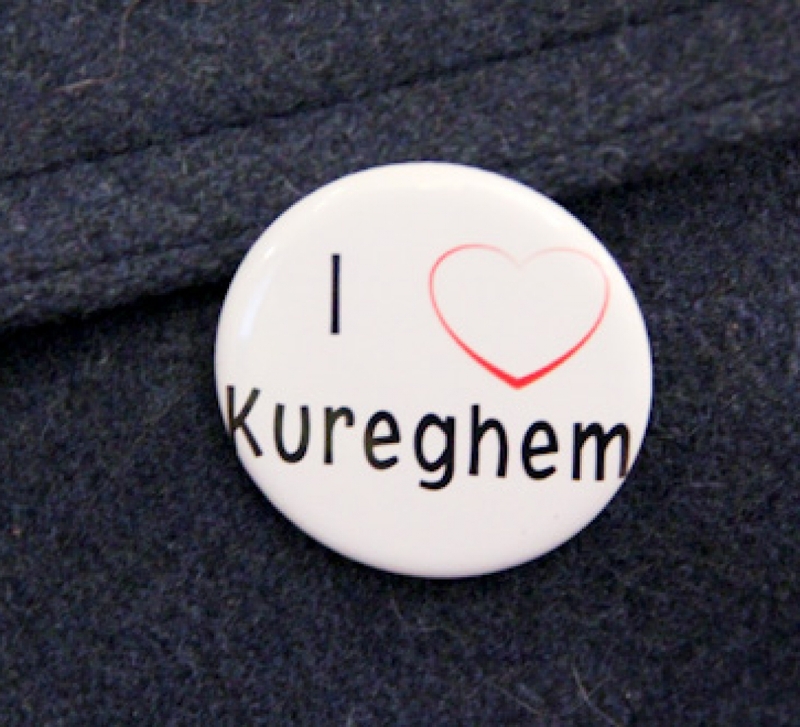 Just next to it is the well-known and stigmatised Kureghem neighbourhood. 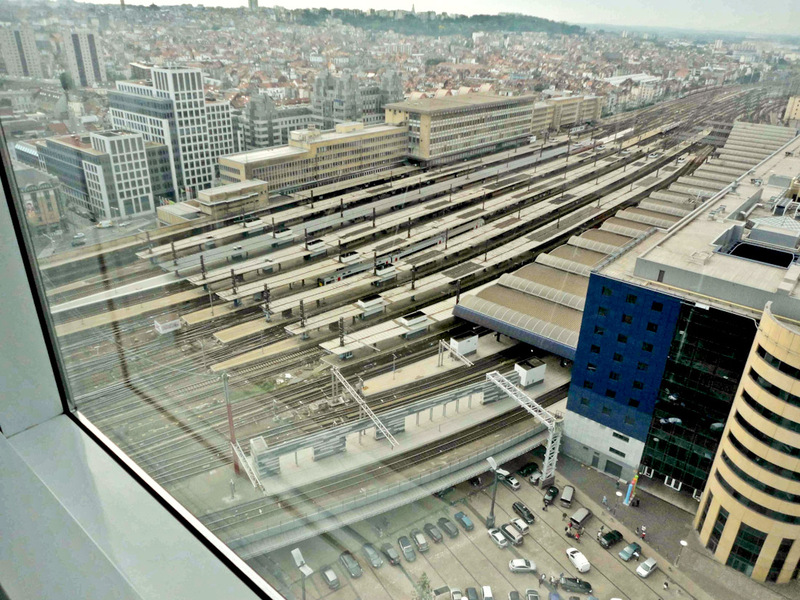 The Brussels South Station is a priority for the Brussels Region, and the Eurostation NV, who asked Jean Nouvel to form a vision about it. As was to be expected, Jean Nouvel proposed a design that was stunning architecturally, but didn’t take into account local neighbourhoods. 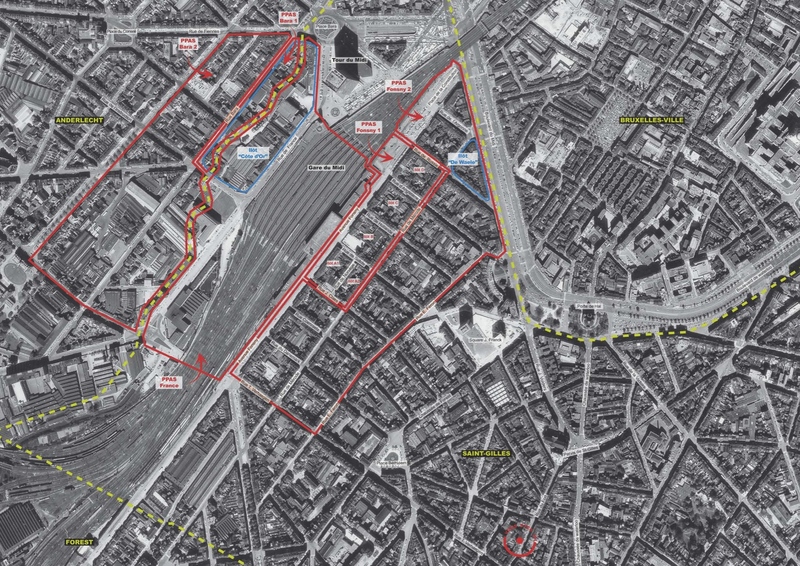 Parc Grisar, on the edge of Eurostation area and Kureghem, is symbolic for this situation. 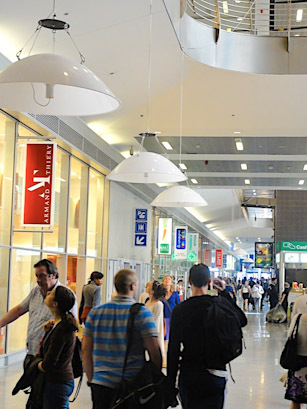 It has been closed for 4 years, because of unwanted youngsters smoking and hanging around, and because of it being the runaway route for youngster committing small theft in Eurostation area. This clash between 2 worlds, the one of money and the one of social reality needs attention. 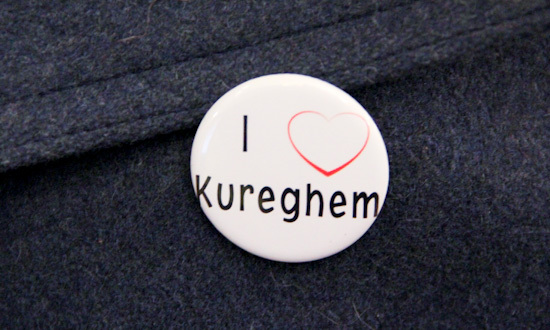 See also Kureghem area photo documentation by Nicolas Ooms on Flickr. 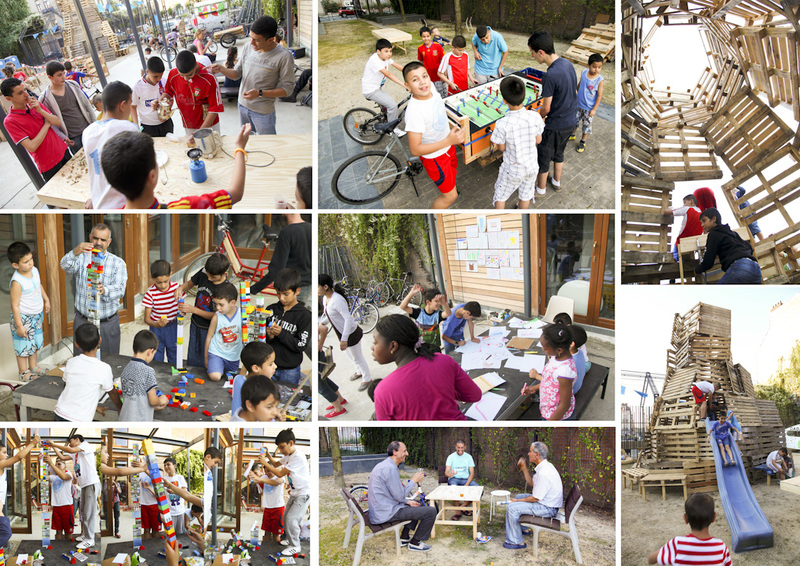 MyCityLab re-opened Parc Grisar which been closed for 4 years, being a blind spot between the withering rise of high budget development projects around Brussels-South train station, and Kureghem, the well-known and stigmatised area within Anderlecht. 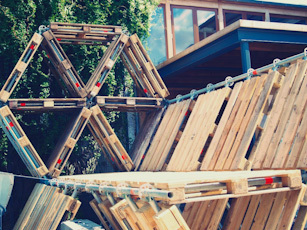 The park was used as a gathering place for artists and neighbourhood, and as a workshop space for improving self-sufficiency in a playful way. 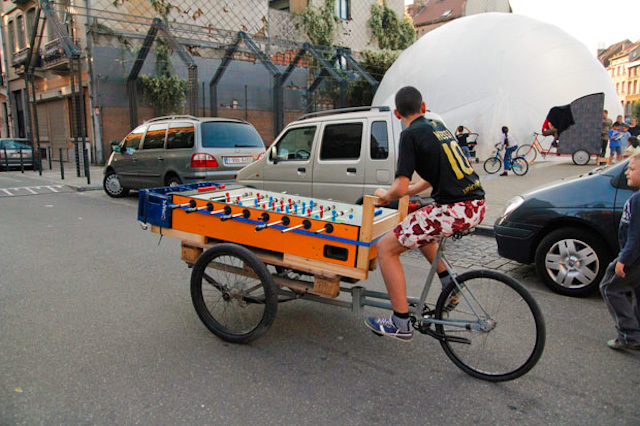 Kureghem community members could learn how to fix up their bikes, how to build a tower, play kicker on a mobile kicker-bike, play football, together with artists doing performances, making installations and so on. A true happening took place. 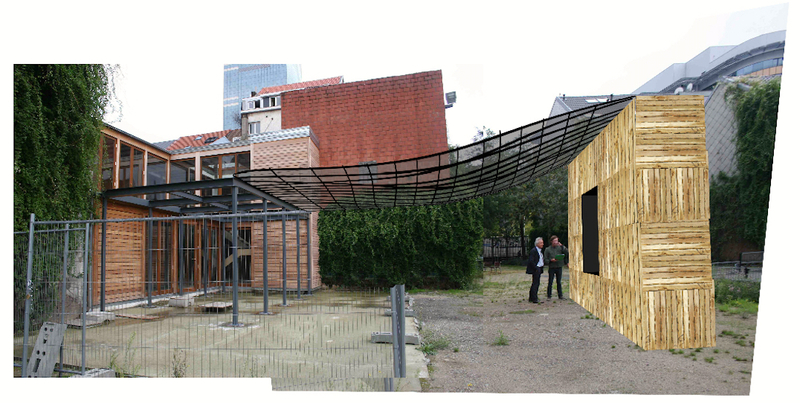 The epicentre of the festival, was a new unfinished building in Parc Grisar, which has been empty for some years. 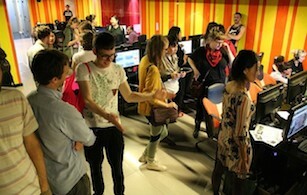 During the festival, it was used for lectures, workshops, administration and conference. 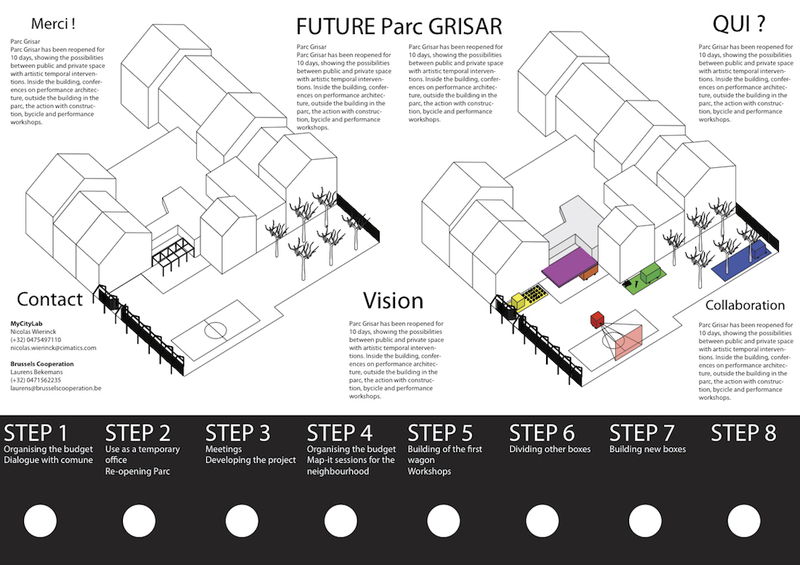 Micro-economy model proposed by Raumlaborberlin for Parc Grisar. Kids testing new tower slider. 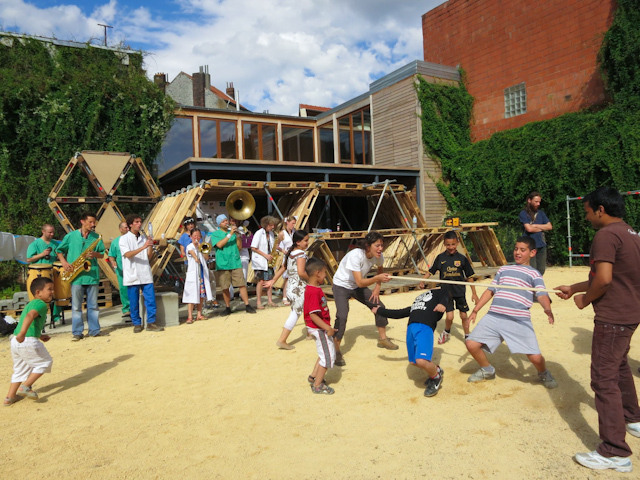 “Accepting architecture as cultural production, its performative dimension must also contribute to a critical role, that is, to architecture’s capacity to produce commentary regarding the ongoing transformations of culture and society. “The main achievement of contemporary city planning is to have made people blind to the possibility of what we call unitary urbanism, namely a living critique of this manipulation of cities and their inhabitants, a critique fuelled by all the tensions of everyday life. 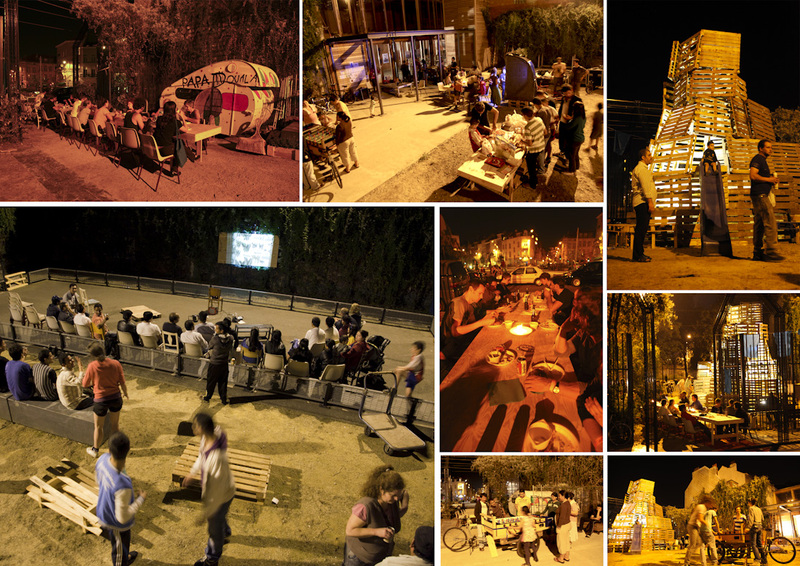 In the last decade, ephemeral architecture practices of numerous architects and artists collectives have been developing as a critical answer to the results of growing mobility in the recent neo-liberal context, using various performative tactics for “activation” of the local potentialities for social change. 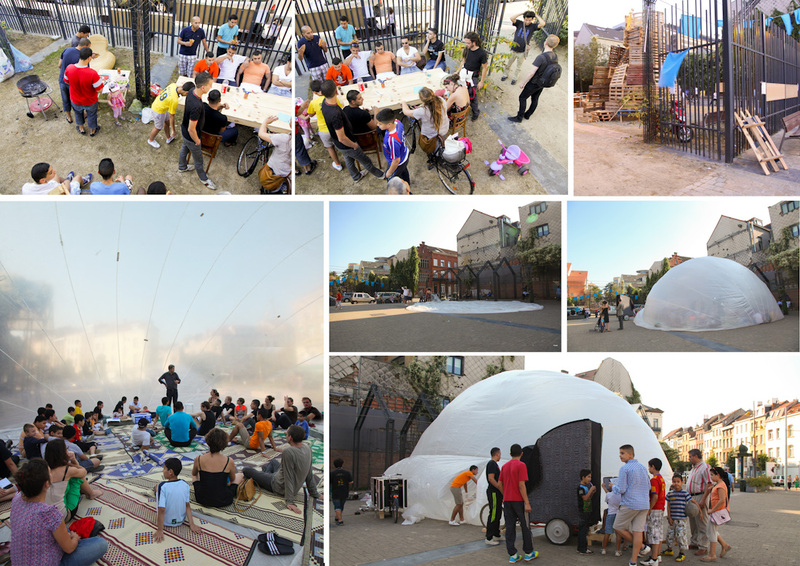 The most interesting ephemeral architecture projects are fast-statement critical practices, collective actions towards the creation of temporary places for encounters in an ever-changing urban environment. 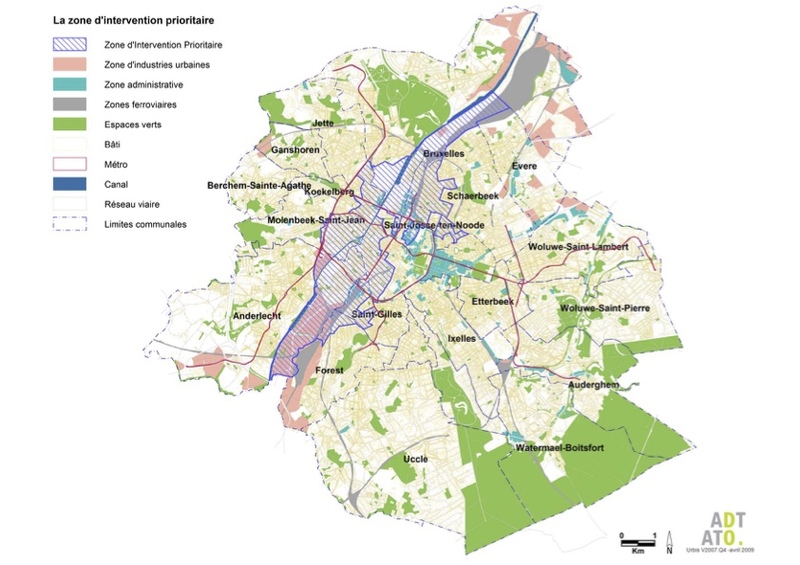 But, because these actions have to be strongly connected to longer-term local actions, they have to be transitory phases that call for a social transformation, for a next step. And in that sense, this is very performative. And this is where the performative action becomes a radical social gesture that goes far beyond the production of an aesthetic object. 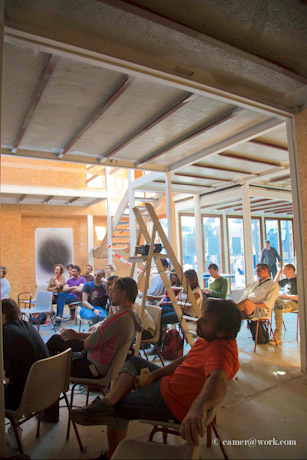 This conference and performances will give the opportunity to architects, urban theorists, performance artists, philosophers and activists to root the origins of contemporary performance architecture and to extend its potentialities regarding future art/urban strategies. Pedro Gadanho ( Portugal ) Curator of Contemporary Architecture Department of Architecture and Design MoMA. 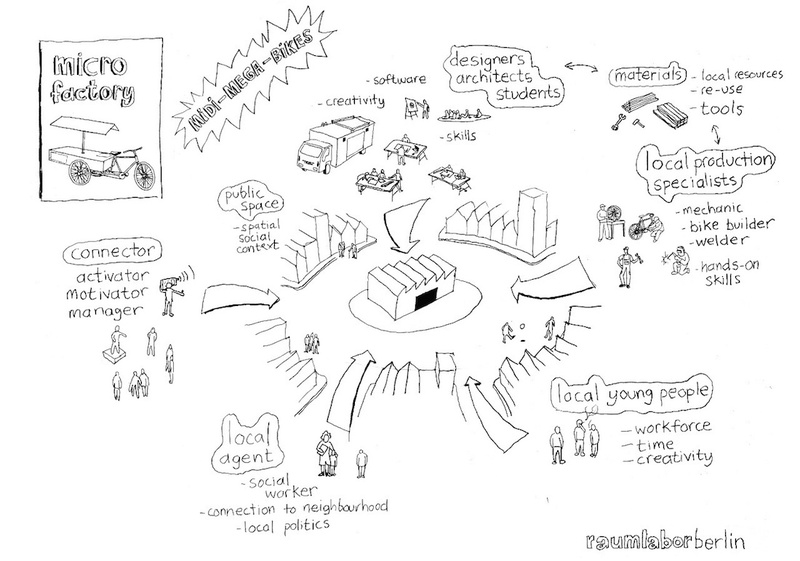 Raumlaborberlin ( Germany ) addresses issues of urban renewal and urban transformations. 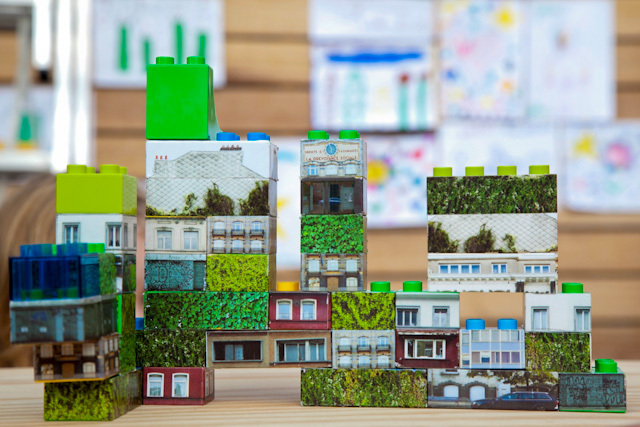 Group promotes a new urbanism defeating preconceptions and focused on collaboration with the end-users and social bonds, involving residents. 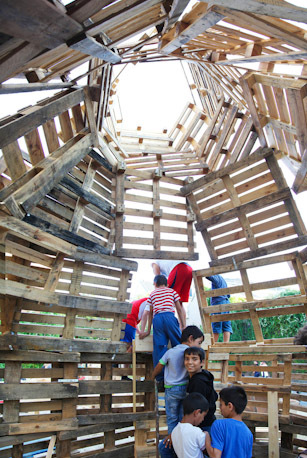 They design architecture as mobile , flexible and easily deconstructed, their interventions varies from creation of mobile objects in relation to the public space to collective performance, interactive environments and art installations. 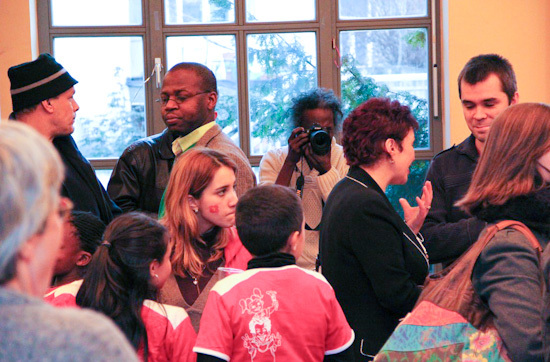 International Festival. Tor Lindstrand ( Sweden ) is an Assistant Professor at the Royal Institute of Technology ( KTH-A, Stockholm ) and a co-owner of the office of Larsson, Lindstrand and Palme. 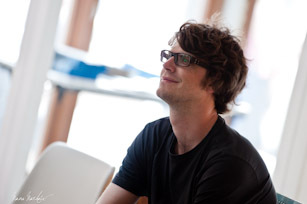 He has been working on projects oscillating between architecture, visual art and performance in numerous cultural contexts. 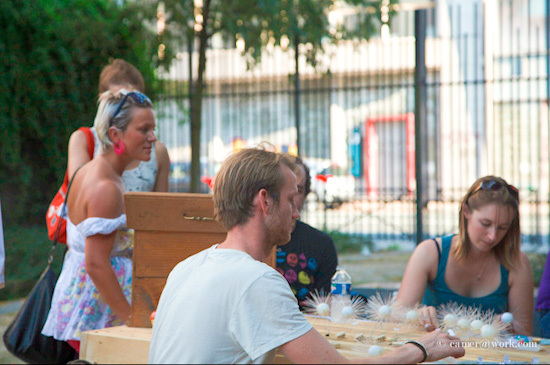 Together with choreographer Marten Spangberg he initiated International Festival, a practice working on context specific projects spanning from buildings, publications, films, installations, public interventions and situations. 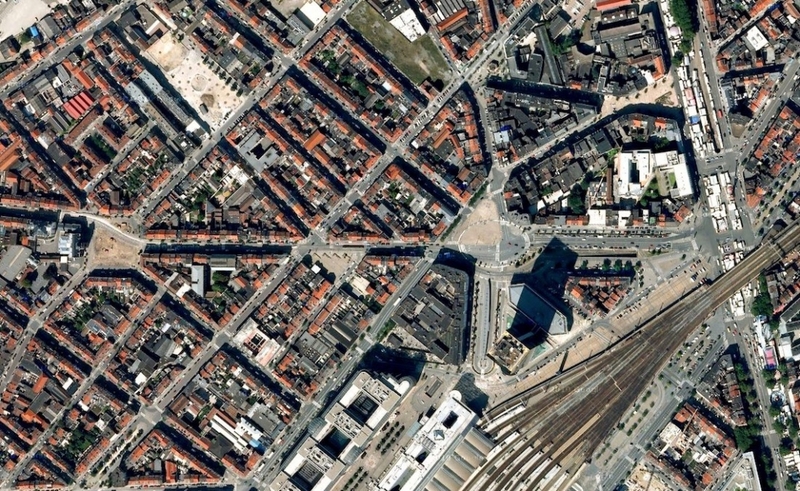 Umschichten is an architectural practice based in Stuttgart ( Germany ). 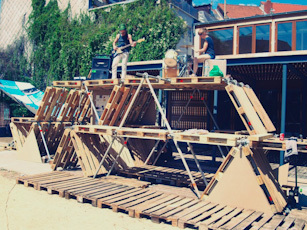 The studio uses temporary architecture as an approach for immediate action and creates built interventions in order to display local needs, ideas or passion. Studio Umschichten visualizes theories, problems or a constellation of men and material by thinking about urban identities and the representation of different social and cultural groups in a city. 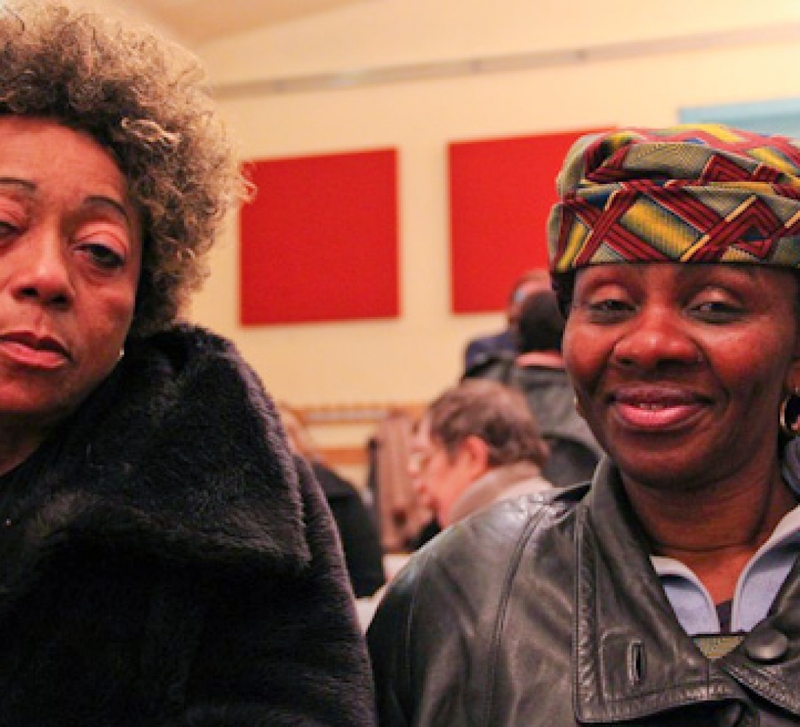 They work fiercely on the boarders of love and fear in the urban space. HeHe ( France ) The Prix Ars Electronica award-winners, HeHe ( Helen Evans and Heiko Hansen ) uses a language based on light, sound and image, their practice explores the relationship between the individual and their architectural, social and urban environment, often creating playful miniature representations of vehicles or intervening directly with light projections and large-scale visual interruptions. They make a provocative commentary on crises of global economy, threats of environmental catastrophes and struggles of public institutions in times of austerity. 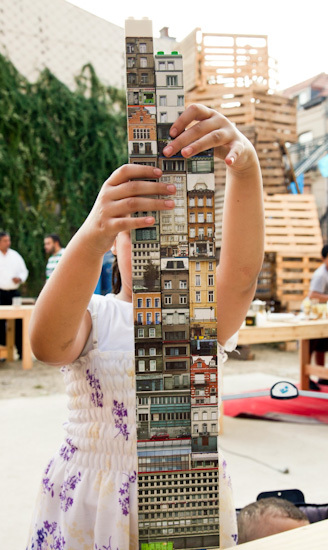 Anna Rispoli ( Italy/Belgium ) With the relationship between humans and cities a central narrative in Anna Rispoli’s work, she tests possible appropriations of the public space by citizens through participatory practices, architectural performances and urban installations. 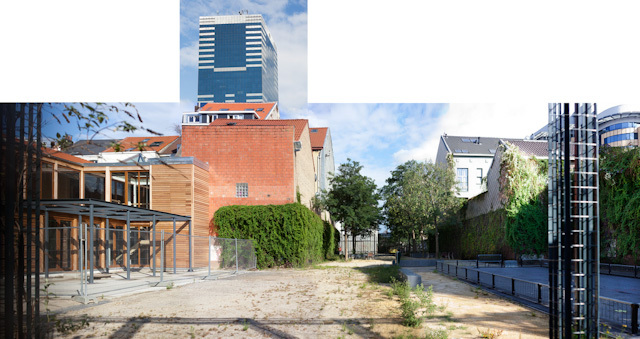 Her recent projects in Mülheim an der Ruhr, Riga and Hannover use city urban revitalisation plans as fictional backdrops against which to set contemporary naumachias, domestic light shows, ephemeral monuments and watchtowers on the current state of utopia. Anna Rispoli is a Brussels-based Italian artist and part of the Italian ZimmerFrei collective. 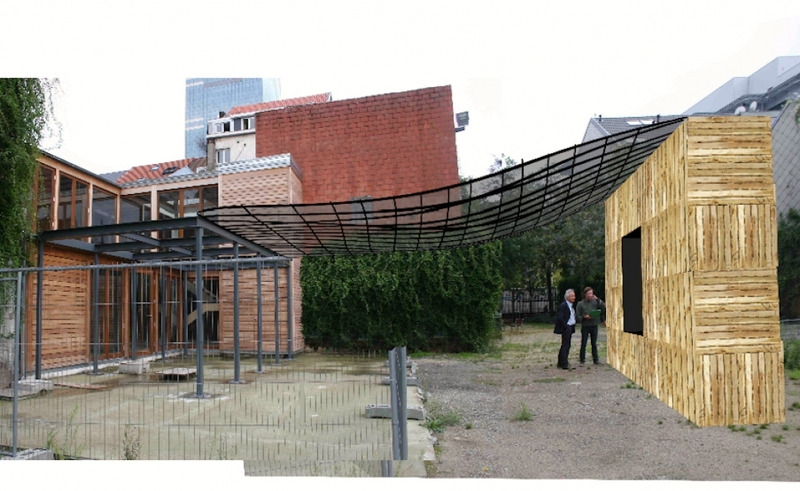 Andrés Jaque ( Spain ) and the Office for Political Innovation explore the potential of post-foundational politics and symmetrical approaches to the sociology of technology to rethink architectural practices. 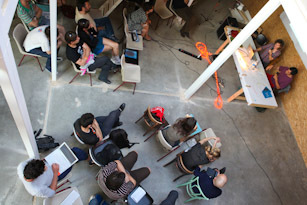 The office’s slogan is ‘ARCHITECTURE IS TECHNOLOGICALLY RENDERED SOCIETY’ and is currently devoted to the study of connected-domesticities like politically-activated urbanism. 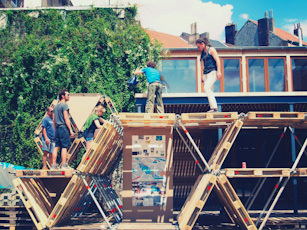 Zoom Architecture ( France ) works with architecture and urban intervention. 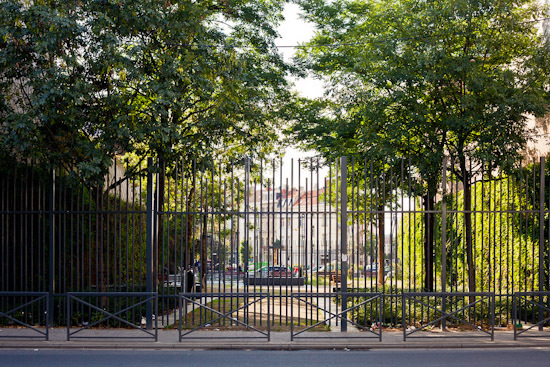 Bureau d’études ( France ) are a Paris-based conceptual art group founded in 1998 by Léonore Bonaccini and Xavier Fourt. They produce maps that depict relationships and ownership ties between, for example, transnational organisations or the European Union. The maps typically reveal links between think tanks, financial firms, regulatory bodies, intelligence agencies, media groups, networks of consumer distribution, weapon makers, and satellite companies. 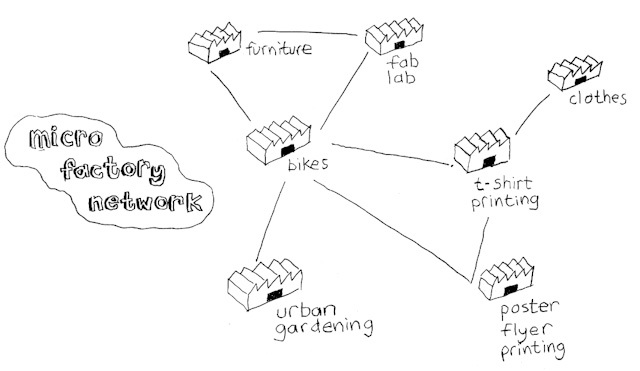 Other maps explore anarchist positions, dissident knowledge producers, squats, and charts that relate to various forms of non-capitalist exchange. 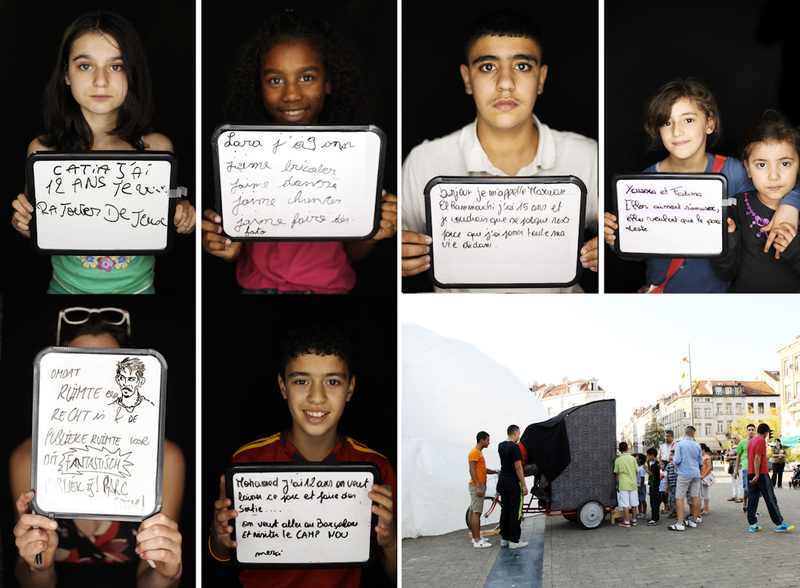 In their practice, knowledge becomes inherently political and the question of access to knowledge becomes paramount. Cécile Martin ( Canada ) is a photographer, videographer, active in web and public art, performer, stage designer, and curator of media arts and architecture based in Montreal. 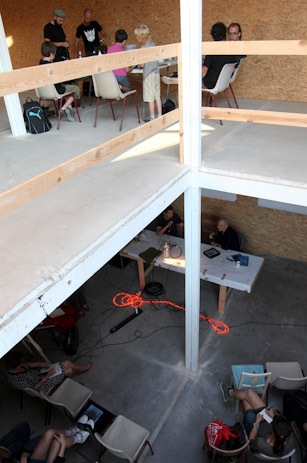 Cohabitation Strategies is a non-profit cooperative for socio-spatial research, design and development based in New York City, Rotterdam and Ibiza. 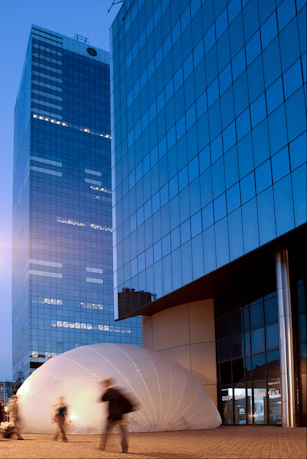 CohStra was founded in the city of Rotterdam –right after the 2008 financial crash– by Lucia Babina, Emiliano Gandolfi, Gabriela Rendón and Miguel Robles-Durán. 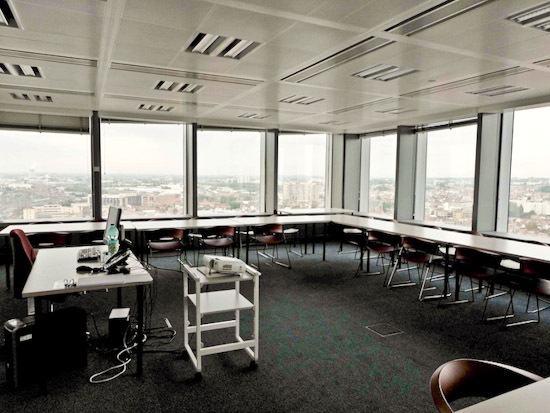 Since which time CohStra has initiated operation centers in various cities across Europe, South and North America. 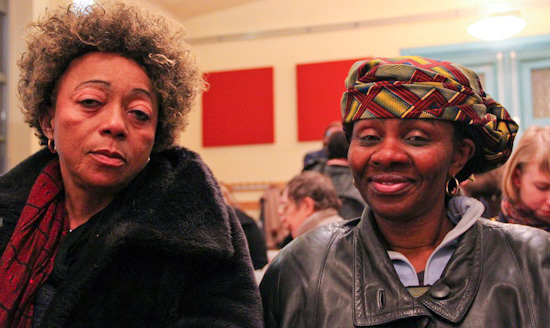 Its action research endeavors to facilitate transformative and progressive urban intervention projects. 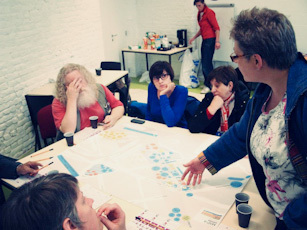 This is undertaken through the active engagement with a range of locally embedded actors from governments, municipalities, cultural institutions, non-profit organizations and civic groups to researchers, artists, designers and independent activists that coalesce around the desire for social, spatial and environmental justice – in short, the Right to the City. 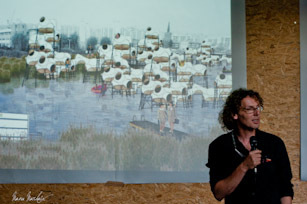 Ewen Chardronnet ( France ) Conference curator, independent author and artist based in Paris. 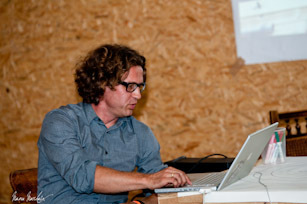 In the past years Ewen has been active with projects focusing on information systems and tactical media, and engaged in various collaborative works such as the Association of Autonomous Astronauts, Makrolab, Acoustic Space Lab and World-Information.Org. 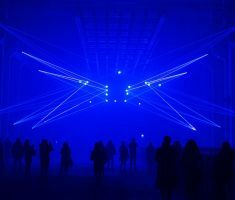 His recent works include electromagnetic waves related artworks with the Spectral Investigations Collective and the journal “The Laboratory Planet”. 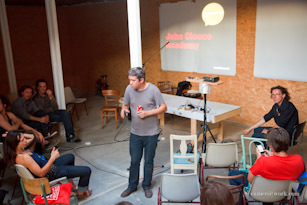 He’s currently curator for the digital city festival in Paris’ region, Futur(s) en Seine. 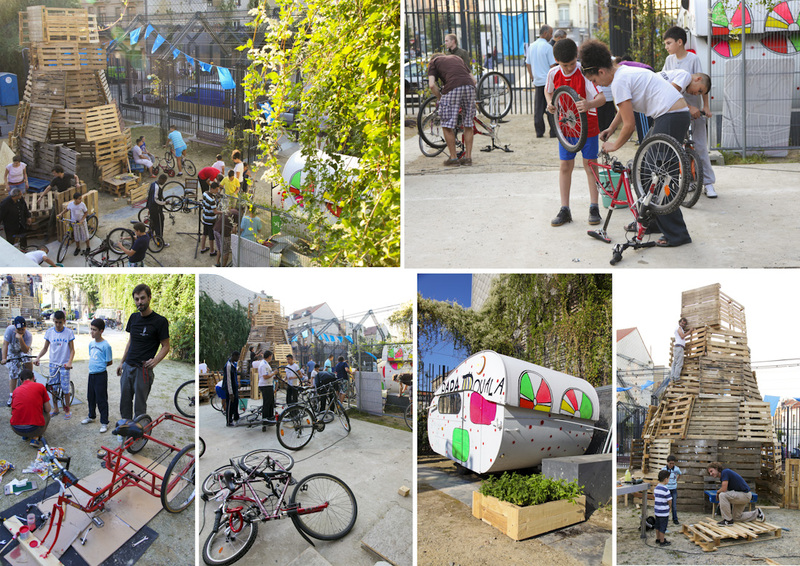 Already during the festival, MyCityLab organisers, BrusselsCooperation architects, Kureghem community leaders and Kureghem social organisations felt that there was a ‘momentum’ of mutual enthusiasm and desire for change. 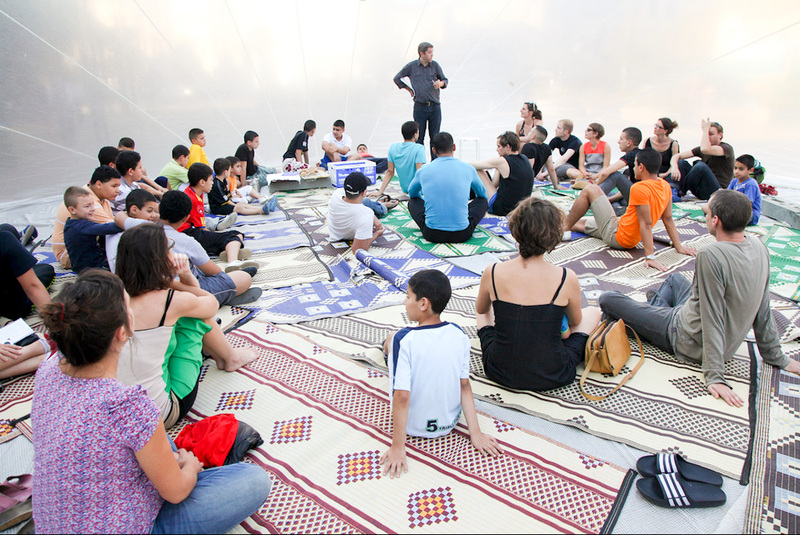 Round-table conversations took place with all mentioned parties, culminating in a community gathering in the ‘bubble’ (installed by Berlin architects Raumlabor) where emotional talks were held about the unwanted closure of Parc Grisar, 4 years before, and the desire of community to have it re-opened on a long term basis, and not just for the festival. It was clear for all parties that this has to have a follow-up. 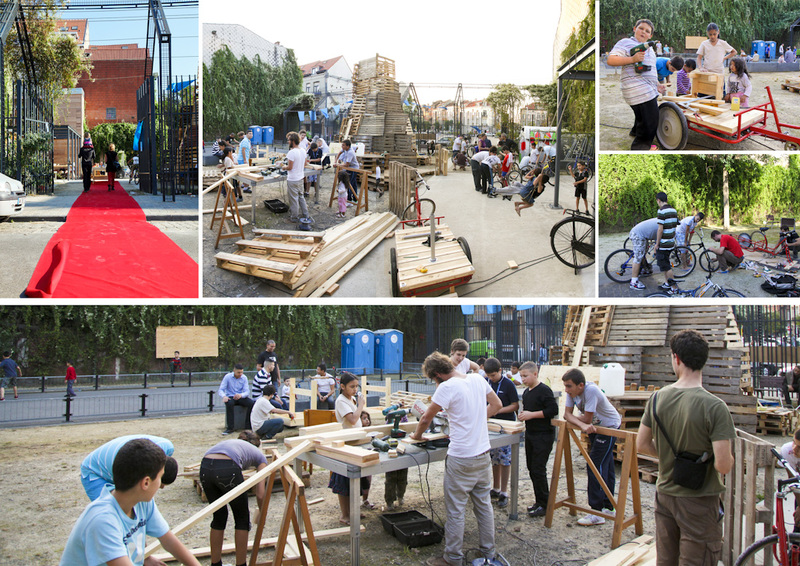 BCs and MyCityLab took this opportunity to integrate the need for doing something in Kureghem into a bigger vision of a micro-factory. 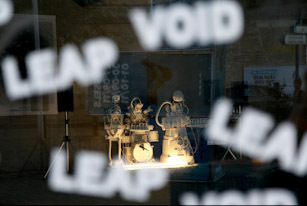 Selection of workshops and performances programmed for TodaysArt Brussels 2011 festival. 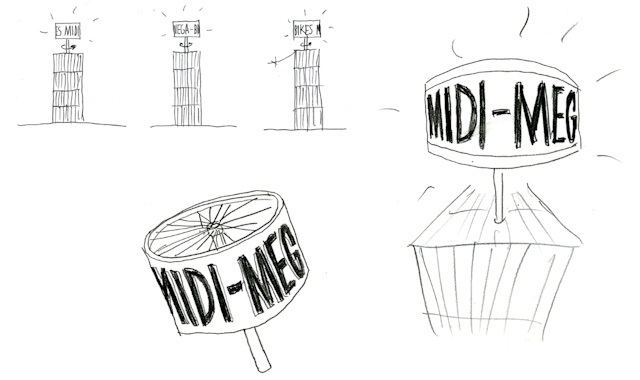 Guided tours and radio performance from Midi tower, transmitted to inflatable listening space. 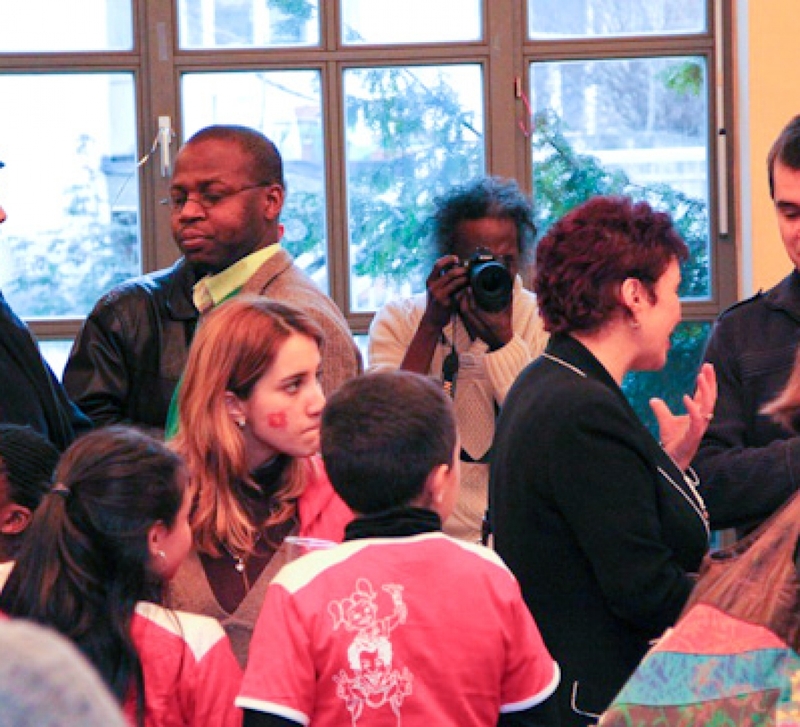 Interviews with local area inhabitants. Lucas Abela Vinyl Rally combines vinyl fetishism, video arcade mystique and the machismo of motor sports into a video game played within a real world setting. Madmapper workshop on video-mapping software. 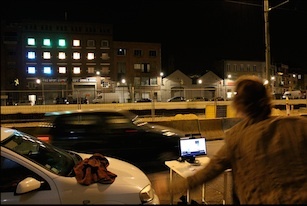 Speed Show Brussels. Internet art one-night exhibition in a local internet cafe. Media facades Reloaded workshop at iMAL, Brussels. 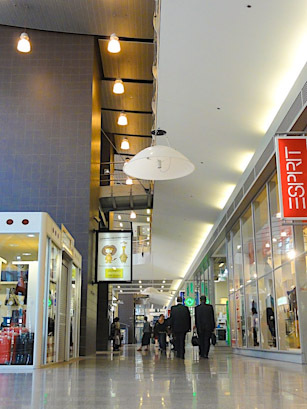 Locustream Promenade inside Midi Station. 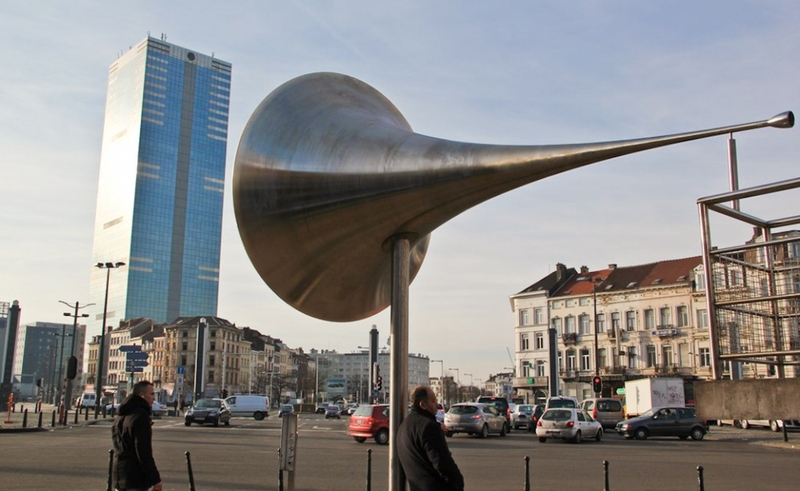 Locus Sonus sound installation. Briko2k Bots Conspiracy is an autonomous d.i.y. 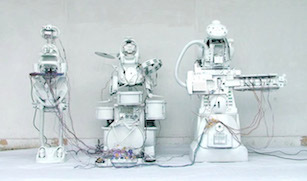 punk rock robots band. Workshop with kids.